Solagratiamom: Back to School - Warfare by Duct Tape GIVEAWAY!!! Back to School - Warfare by Duct Tape GIVEAWAY!!! Medieval Times is the starting point for our history sentences this year for Classical Conversations® as we begin Cycle 2, in just a few short weeks! Therefore, no back to school thought for this CC Mom would be complete without finding something fun to do with regards to medieval times! 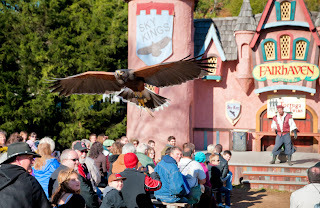 If you are here in North Carolina, then I'd recommend planning a trip to the Renaissance Festival near Concord. You can read about it HERE, while not everything is rated G at this place, there are enough authentic costumes and replicated goodies for those studying this time period to make it worth the trek. We went the last time we studied Cycle 2 and it was a sensory extravaganza of medieval times, even down to the DaVinci invented rides they offer for kids! We really had a great time here! In keeping with the theme of Back to School GIVEAWAYS and the starting point being Medieval Times, I'm hosting a giveaway for one e-book copy of The Knight Book! So enter to win your FREE copy before school starts! 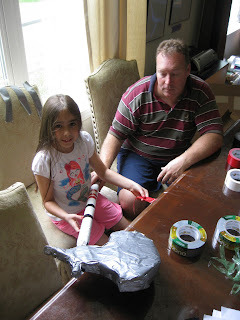 Here are some pictures of my kiddo's making their Knight's duct tape medieval props!